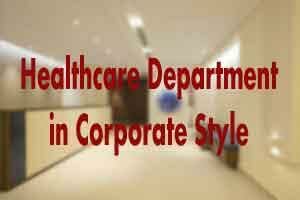 The state health department in Hyderabad has decided to go corporate style. Consider this; the function of superintendents in government teaching hospitals is to be restricted to “the clinical side of administration and service matters of health staff “. The new system in place is to be implemented at the state-run Gandhi Hospital, before being replicated in to other similar teaching hospitals. As implemented in a order issued by the health department, a separate hospital administration will be set up to run the routine functions including, sanitation, security, canteen service, rentals, maintenance of civil infrastructure, medical equipment and electrical equipment. This wing will be headed by a qualified general manager. As reported by TOI, “Provided there is coordination between clinical and non-clinical officials on the ground, this move will definitely bring in positive changes as sanitation, security , infrastructure are aspects that can be handled better by professionally qualified people,” said Dr J V Reddy , superintendent, Gandhi Hospital, adding that the process of appointing staff for the new wing will take some time to complete. For instance, almost all government teaching hospitals in the state -Osmania Medical College, Gandhi Medical College or Kakatiya Medical College -still depend on untrained and unqualified lower rung class IV employees as `health inspectors’ for maintaining sanitation, unlike in corporate hospitals. “The ideal scenario for a hospital is to have a medical professional paying undivided attention to treatment, while all other administrative, logistical, operational aspects in the day to day running of the hospital being left to a professional manager.This will be a win-win situation for the patient,” said Y Subramanyam, chief operating officer, Apollo Hospitals.